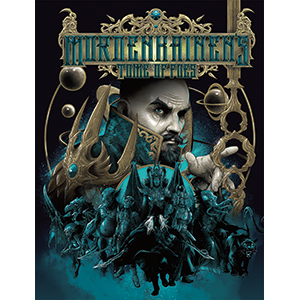 Mordenkainen's Tome of Foes also comes in a limited edition format exclusive to core hobby stores, featuring an alternative-art cover beautifully illustrated by Vance Kelly. Use the store locator to find a hobby store near you. You can also find Mordenkainen's Tome of Foes available via Fantasy Grounds, Steam, Roll20, and at D&D Beyond. Last year, to celebrate the release of Tomb of Annihilation, we collaborated with D&D liveplay podcast producers to create episodes using material from the adventure and released them on the Dungeon Delve podcast feed. Victoria Rogers, from the Broadswords, ran with that idea and brought together even MORE podcasts to create one-shot adventures using monsters, stories and lore from Mordenkainen’s Tome of Foes. 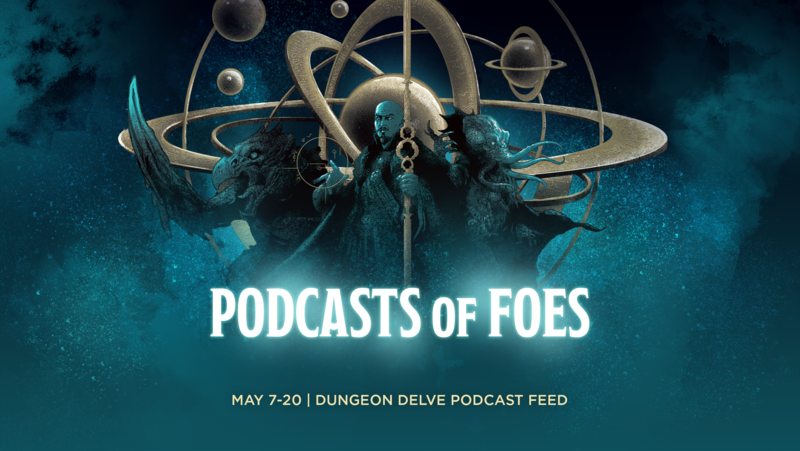 Starting on Monday May 7th and continuing up until the release of Mordenkainen’s Tome of Foes in game stores on May 18th, we’ll be releasing two new episodes each day of the work week on the Dungeon Delve podcast feed (on itunes, google play, or wherever you get your podcasts) following the schedule below. On the weekends, you’ll get two livestreams on Twitch with monsters and lore from the book as well. And we plan to livestream it all on twitch.tv/dnd.